Using a high dots-per-inch (dpi) resolution for printing produces quality printing results, but it may take longer to print. You can change the resolution settings to a lower dpi setting, depending on the type of printer that you use. If the printer that you use supports draft quality printing, you can specify draft quality for faster printing instead. 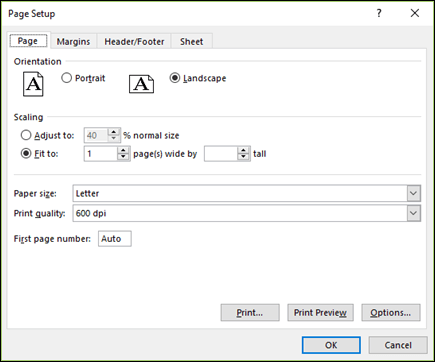 Click the worksheet for which you want to change the print resolution. On the Page Layout tab, in the Page Setup group, click the Launcher . On the Page tab, in the Print quality box, click the resolution that you want to use. Note: The dpi settings that are available depend on the type of printer that you are using. Click the worksheet that you want to print by using draft quality printing. On the Sheet tab, under Print, select the Draft quality check box.